Crank up your oven for a bit to bake these two mouth watering appetizers. No matter what time of the year, these are appetizers that will be a hit with your family and friends. You will be delighted with the results....creamy and crunchy together....a smorgasbord for your senses. Recipe for dip is inspired by Friday's recipe with a few tweaks here and there. "I'm Popeye the Sailor Man---I Eats Me Spinach"
Spinach is a food that I acquired a taste for in my twenties. I did watch Popeye faithfully (one tv show I DID watch; tv viewing was rare...too much to do) and wanted to be good and be a Popeye soldier but I just could not. There was nothing about that little tender leaf that appealed to me. Later on however I discovered it in a salad and I was hooked. Now I use it in salads and sandwiches and prepared a number of ways which require cooking. Spinach is just plainly and simply a good food for us to consume. It is completes many dishes or is satisfying all by itself. It helps prevent macular degeneration because zea xanthin, a caretenoid, is absorbed into the tissue of the eye which increases ability to filter light rays and helps stave off macular degeneration in our senior population. Those tender little leaves are an excellent source of Vitamin K, Vitamin A, and Vitamin C.
It is low in calories and has been recommended in programs that control weight and cholesterol. By consuming about 4 ounces of spinach daily, you with all be provided with all of the iron you need. This just seems like a food we need to enjoy more often. Artichokes are rather a curious looking little veggie. Their best kept secrets lie within. They are a suprisingly enticing addition to many dishes...I have never eaten them as a solitary dish so cannot speak to that. Why eat them besides their flavor? Artichokes are touted as being the veggie with the highest antioxidant content. They are also reported to increase cell death in several cancers including lukemia, breast cancer, and prostate cancer. Eating this food also is said to reduce the likelihood of getting breast cancer. Another food bursting with goodness for our bodies is just waiting to be consumed by us. Preheat oven to 325. Mince garlic cloves ...about 3 or 4 depending on how much garlic you prefer. Open artichoke hearts, drain, rinse. Set aside. Thaw frozen spinach (you can use fresh; blanch it before adding to dip mixture if you do.) Remove from container and squeeze to remove excess moisture. Place artichoke hearts and spinach in a large bowl. Place in a shallow pan and bake about 20 minutes. Serve with veggies or chips. This batch will be served with sweet potato chips (recipe below). The length of time the chips bake will be something you must experiment with, at least that was my experience. I originally baked them as instructed and they were not chippy at all. Again I adjusted the temperature as I was in a time crunch. I adjusted it several times and finally found 475 was the temperature to give the best results. You must watch them and turn them and turn them and remove any that become dark. The time is a work in progress. One recipe I found said to cook them at 250 for about 2 hours. The next time I make them that will be the temperature I use. If I had not been in a time crunch, I would have gone for 'low and slow' like I make roasting some great pork or beef!! They turned out to be yummy despite the issues with timing. Prepare baking trays...place parchment paper on and set aside. Wash 3 or 4 medium-sized sweet potatoes; do not peel. Place potatoes on tray spacing so they are not touching. Sprinkle lightly with Himalayan pink salt, freshly ground, and freshly ground pepper. HI Pat. I'm not a spinach fan but this looks luscious. And the sweet potato chips look amazing too. This will be a great dip for the holidays. Thanks for sharing your recipe. This delicious sounding appetizer caught my eye again today. I just happen to have a can of artichoke hearts in our pantry and have the rest of the ingredients except for the spinach on hand. Will have to purchase a package of frozen spinach and make this soon. Thanks for your recipe. Sending warm wishes and prayers your way today. 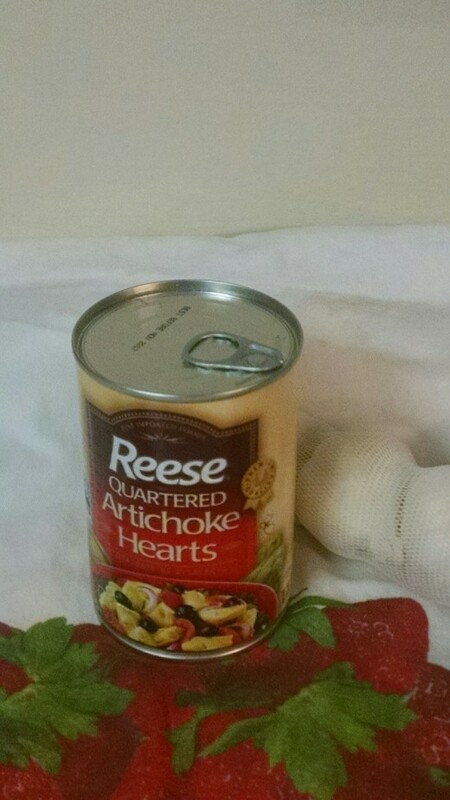 Hi Jill Actually I did not know about the amazing artichoke's healthful benefits either until I gave this recipe a try. It is yummm ....and a hit every time. It is really best when served hot. I had no idea artichokes were so good for you! I like sweet potato fries, too, but have never tried to make the chips. They sound healthy and delicious. Love that pink salt! I love the twist of the sweet potato chips. Yummy for both recipes here! It is a pretty easy recipe combo to create and it is worth every second of the effort. Perhaps you can give it a try sometimes soon. What a winning combination for a dip! Nice to know of the health benefits as well. I have never baked sweet potato chips. May have to try that soon. I see from reading the comments that Mary also gives them to her dog. I'll bet Skippy would also like them. Thinking of you with love and virtual hugs. Pinning this to my appetizers board and will also share. How cool is that, Rachel!! I just made some for a party my daughter had this weekend too. It was hard not to sample it all away. 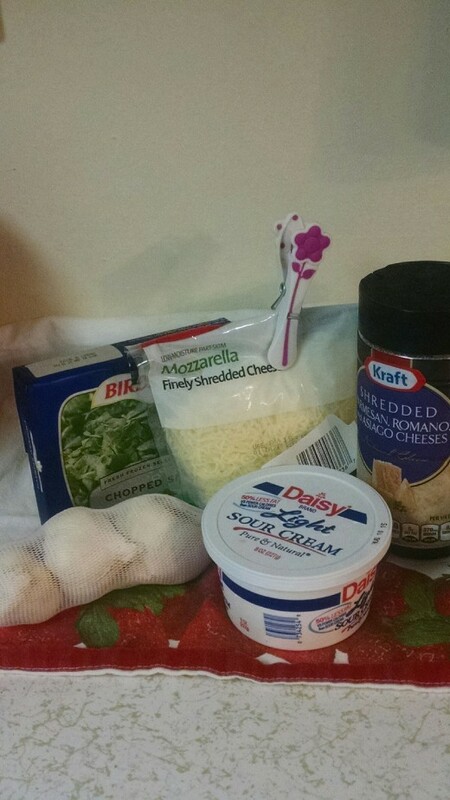 This is the second time now I'm making this dip. lol My daughter requested it as part of her birthday dinner on Sunday. Thanks again. Many blessings. O I am so glad it was a hit...and of course you must have discovered you can tweak it as you wish. Yes, thank you, we had a lovely Fourth...am always glad to celebrate our lovely country. 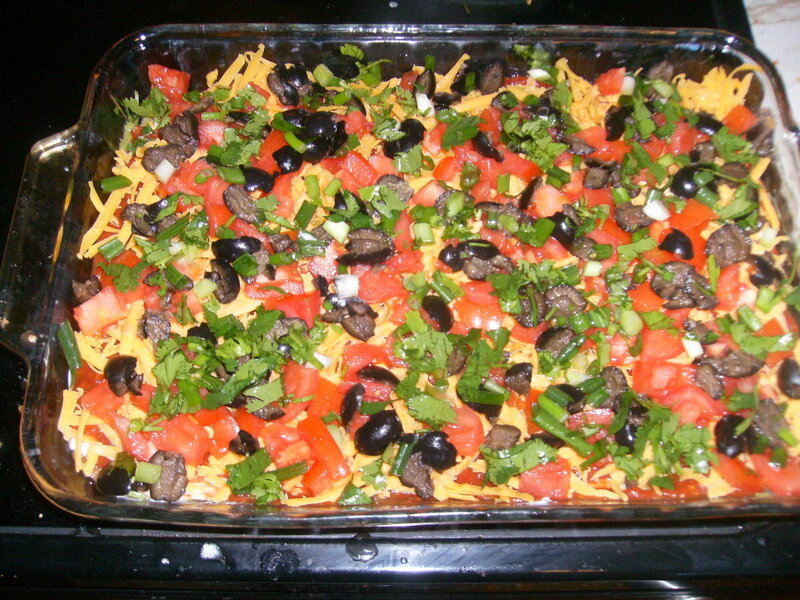 Hi Pat, As I said I made this dip yesterday for our 4th of July cook out. It was a hit. Everyone loved it and one guest even took the recipe home. She has to eat gluten free and that was a perfect food for her. Thanks again for the recipe and hope you enjoyed the holiday. Hope you do give this a try. It is one appetizer combo that you will find you make more than once. Thank you for visiting Cyndi. Well I am glad you stopped at this one. It really is a combo that will be a hit with your family and your friends. Even those who may not be fans of spinach often find this a dish they fall for. Thank you for visiting, Shyron. Hi Thank you for visiting aviannovice It is an easy appetizer combo to prepare and there will be no leftovers. Hoping all is good with you. Hi Ms Dora...I hope you have a chance to try these dishes ...they are tasty right down to the last bite. 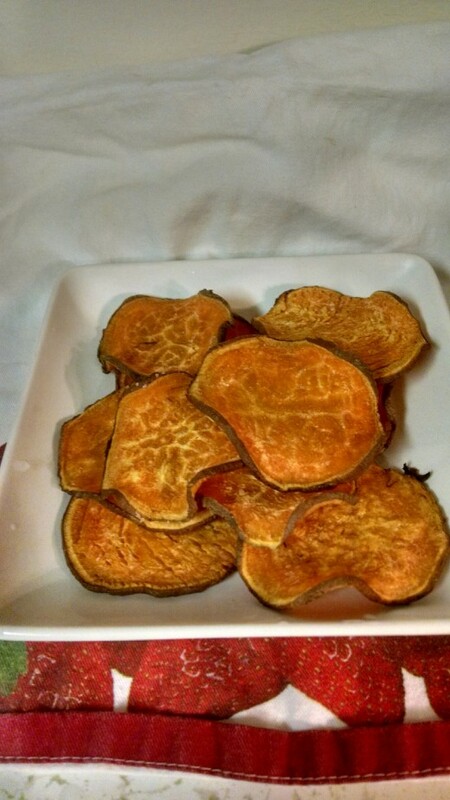 If you like crunchy foods, you will like the sweet potato chips. One thing I like best is they are healthy. Something we can eat with no guilt. Hoping you have a chance to try them peachpurple. Sorry to be so long in responding...the rain and sun are keeping me busy plus I have a new 'job' that I will be sharing about soon. This is luscious and you can change it up as you desire. The sweet potato chips are a hit..I assure you and they really need no dip. Hoping all is well in your little corner of Texas...my sister in Austin is telling me that right now things are pretty calm after all of the big storms. They really are. I can't take credit for creating them so can give them much praise. I am being asked for a repeat performance very soon. Angels are on the way to you this afternoon. Love the way this dip makes my mouth water. I'm putting together the menu for a few friends over. This is on it! Thanks. Sharing. I love Spinach squares, so I know I would love this. I don't care for recipes unless I am looking for something specific and this looks really good and I just may try it. This is definitely something that I would enjoy. Thanks for the great recipe! This suggests a great taste and is nutritious too. Thanks for the recipes. This looks and sounds so yummy! I love spinach and all the ingredients you have listed. How could it be anything but magnificent? Just the thing to compliment sweet potato chips, too. Voting this up and UAI. Pinning to Awesome HubPages and sharing with followers. Gave you 5 stars. Hope you are able to stay cool at your house -- take care . . . I am a huge fan of the three main ingredients, artichokes, spinach, and sweet potatoes. This looks like a couple of terrific recipes. Hi Jackie O I hope you have a chance to make your very own. I know that restaurants do offer it (that is how I discovered it as mentioned above) but there are times when I would just like to have a taste and a restaurant is no where in sight. Hoping all is good with you and your family today. Hi Blossom The artichokes were canned ...I am not certain which type they were but I do hope to use fresh ones in the near future. This is a dip that gets better each time you make it as you tweak it a bit here and there and it improves with age. hi Poetryman6969 You will be tickled pink if you give it a try. It is a wonderful combination of flavors and textures. It is difficult to have one chip or one scoop of dip. You know what Frank...I was a huge fan of neither but this little bath of cheese and sour cream and all makes it a whole new taste. Yum. You may be pleasantly surprised....thank you for stopping even though your tastebuds were not thrilled. I love sweet potato chips and spinach so I know I will love this. Sounds like an Olive Garden horderve mixed with sweet potato flavor so I just can't wait. Thanks so much for sharing this! ^+! Those sweet potato chips sound delicious! I'm wondering what sort of artichokes you used, were they Jerusalem artichokes that grow underground or the leafy sort that grow on top? Voted up for best use of Himalayan pink salt this decade! Definitely sounds interesting. Given that it has sweet potatoes in it I might even con my wife into trying it. As for me, I was pretty much in at garlic and cheese. Mymastiffpuppies You will be so glad you did. It is creamy and flavorful and on top of a chip it is the best. Thank you for visiting. Hoping all is good with you and yours. Hi Faith I hope you have the chance to give this a try. It is a no fuss kind of dip. The potatoes do take some prep time and attention but they are worth the trouble. Already folks are asking me to make them again!!! Hi Pollyanna I have never really cooked with artichoke much before but found this an easy recipe to make and enjoy. One day I hope to be brave enough to make it with a fresh artichoke. Hi Carb Diva thank you for visiting....you and your daughter will enjoy both of these recipes. Flavor and texture are what determines whether I make a dish again...well, no doubt these will show up time and time again. Purl....you will love this ...when you make it at home...it is that good. I just saw your crayon-covered jars....how cute and clever. Thanks Rachel for the votes. You will enjoy it...it is full of flavor and on the sweet potato chips well, it is just divine. O bill you are too much..your honesty and candor as soooo appreciated. But I DO think if you had some of this that you would no longer HATE this tiny green leafy veggie. I appreciate you so for going through the drudgery of reading about something that clearly does not make your tastebuds tingle!!! Sorry Mary...wish I had posted it so you could read it on a full tummy. And yes, I make them for my pup too...she adores them. She also likes raw ones and baked ones. Silly pup. Hoping all is good with you ....hope you can give this a try sometime....this dip would be good slathered on an old shoes, I do believe. This sounds delicious, can't wait to try it! Thanks for such great details, it will make it easy to do. Great Hub, voted up across the board! I "eats" my spinach too and have always loved it. PS, I must confess that your dip and baked sweet potato chip recipes are making my mouth water as I can just imagine how yummy they are ... I MUST try these. I have never tried sweet potato chips, just the fries. 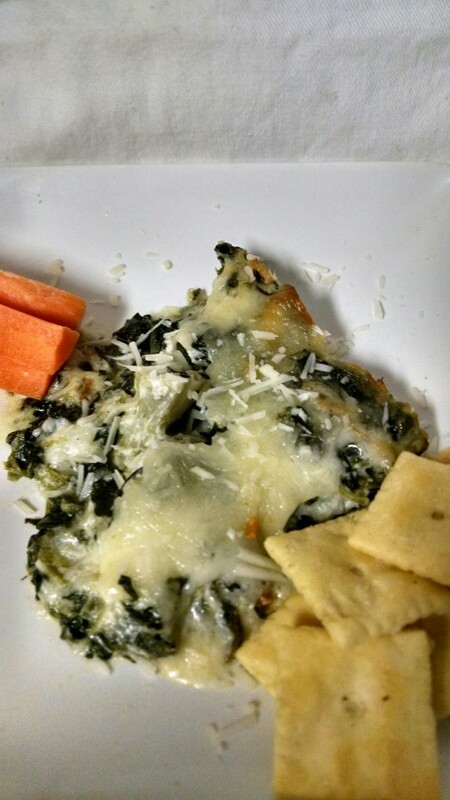 I have been trying to find a great spinach dip recipe, and here it is. Thank you! Your baked sweet potato chips look so inviting and crunchy, Patricia, I can almost eat them off my computer screen. I'm a sucker for sweet potato fries so this recipe is bound to become my new favorite. Thanks, m'dear. This looks delicious! I've never cooked with artichoke before, and this looks like an easy way to be brave and give it a go. Thank you for the recipe, I will certainly be trying this out this summer. Both of these sound wonderful! My older daughter is especially fond of anything made with sweet potatoes, so will need to give these a try. I appreciate that they are baked, not fried. One problem I have had with sweet potato fries (when we dine out) is that they are often limp, not crisp. I think it probably has something to do with the high moisture content of sweet potatoes. I think your method of baking would solve that problem. Thank you for sharing a great hub. Yum! Spinach and Artichoke Dip is one of my favorite appetizers to get at restaurants, but I've never made it at home. Thanks for this great recipe. And it sounds delicious with these sweet potato chips. Thanks for posting! Pinned and voted up! Hi Pat, I love this recipe. There is all ingredients that I know my family will love. I think I'll make it for our 4th of July picnic. I even like the idea of the sweet potato chips. I gave this 5 stars, voted up and pinned it. I love your hubs. PS, I'm here for you, because I literally hate spinach. LOL I don't mean to say I dislike it, or don't really care for it....I HATE IT!!!!!!!!!!!!!! How's this: I'll pass this along to Bev. She'll be very appreciative. And I'll keep reading anything you write because, well, we're friends for life. I'm really sorry I read this Hub; bad timing on my part. 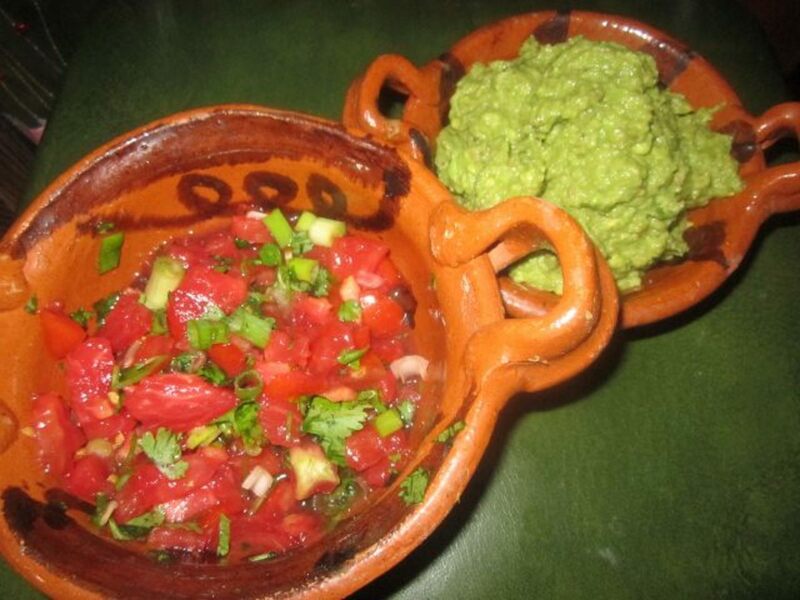 It is lunch time, and and I would just love to have some of this dip NOW. 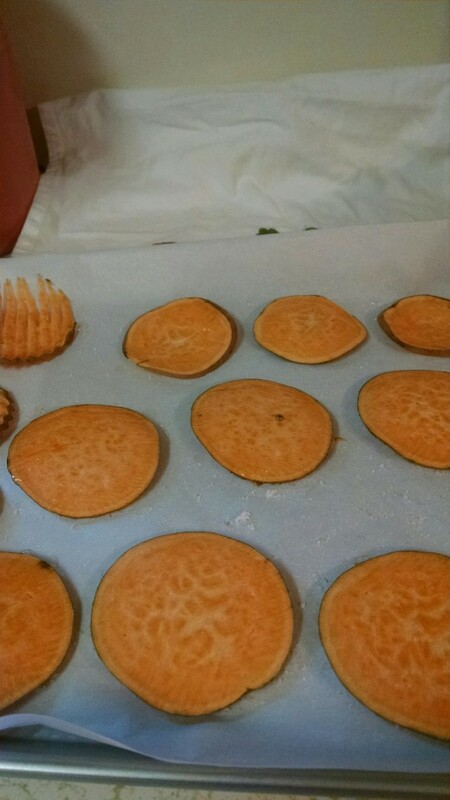 I bake sweet potato chips for my dog. She and I both love them! Your dip sounds wonderful; thanks.